House of Onika | Interior Design Blog: IKEA-MASEN! Singapore's thriving design industry is very evident in the country's city planning alone. The Esplanade, Suntec, Clark and Boat Quay, Orchard, Bugis, Holland Village and ECP to name a few are superb evidences that Singapore made a perfect fusion of style and function. Like the country's Citilink underground mall, interiors are given just as much attention. This is where Ikea plays a vital part. 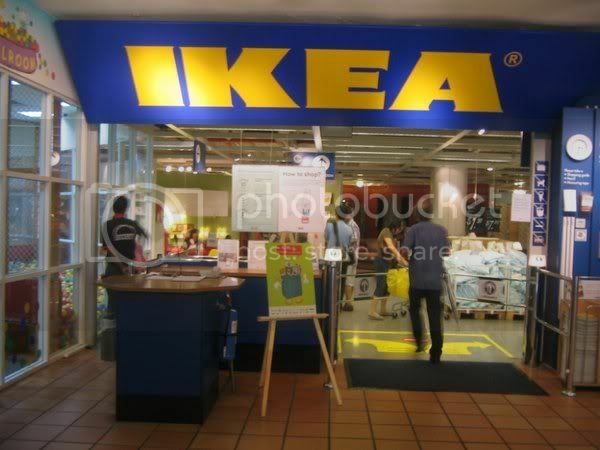 Ikea has two branches in Singapore but due to time crunch we were only able to visit their branch in Tampines. Click "Read More" to read our drawjopping finds inside the design mecca! Ikea Mall, if we remember correctly, has 4 expansive floors and houses a supermarket on the ground floor. Comparatively, between our home stores (Bo's, Funktionel, Dimensione etc.) and Ikea, the latter's line of furniture and accessories is more chic and cosmopolitan and the best part is that they can be bought for a fraction of the price. 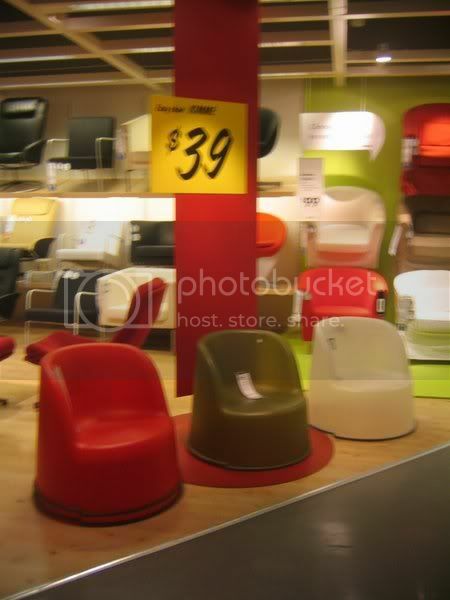 Our stolen shot of the furniture below sells for 39 Sing dollars or P1,120 (1:30). A similar design would cost twice here in the local market. A woven chair went on sale for $29!